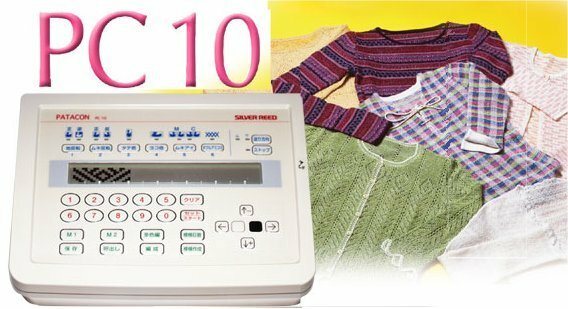 This is the Silver Reed PC-10 Patterning Device for those who prefer not to use the computer for designing their garment. The Silver Reed PC-10 was designed for the user who prefers not to use the computer to design their piece. It will lay out the design of the pattern in the manner you choose. 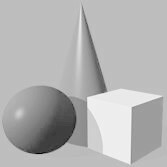 However, it does not position the design on the shape it will be used on. The PC 10 allows you to create your own original patterns. You can save them to a memory card and share your designs with your friends. You can create a stitch pattern 200 stitches wide by 1000 rows. This unit connects directly to your knitting machine using the curl cord to transfer the information to the machine as you knit. You can reverse, mirror image, double length and double width by pressing the selection keys. Designed for simplicity of use it makes electronic knitting easy. The PC 10 puts creativity at your finger tips. The PC 10 can be removed from the machine to program the patterns and then returned to the machine to knit your garments. Large, clear, easy-to-use display area makes pattern input easy. Variation buttons add versatility to a single design. Just press the key to alter the design. Stitch Patterns can be saved on a compact Flash Card and recalled for knitting latter.